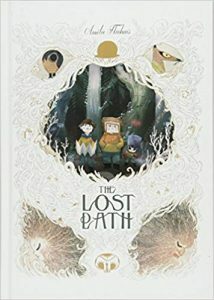 The Lost Path by Amélie Fléchais & Jonathan Garnier, illustrated by Amélie Fléchais. Lion Forge / Cub House, 2017. 9781941302446. Published as an oversized hardcover, which the art deserves. Three kids get lost in a forest with only a treasure map and their overactive imaginations. (One kids sees everything as robots.) There are many strange creatures including dancing porcupines, a giant sheep, and the coolest looking owl that’s ever been drawn. 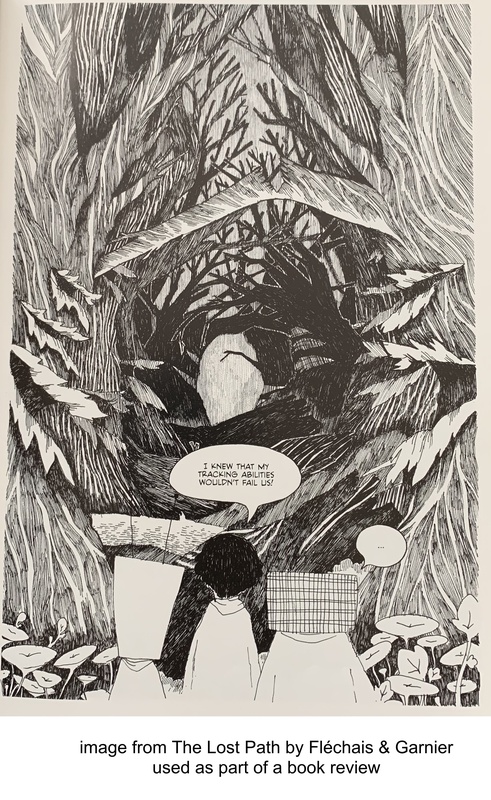 As the book switches back and forth between color and black-and-white illustrations, and throughout it left me with the sense that I was missing something, but in a wonderful way that will have me re-reading it over and over. 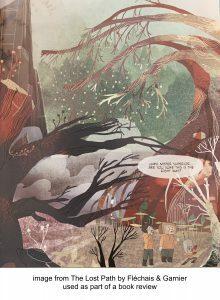 It’s magical, and will become one of those graphic novels that I give every kid I know.